Together with Gday Casino I was able to create a special promotion for all new players that sign up from this post. If you sign up at Gday Casino and make a first deposit, you will receive up to 100 free spins on NetEnt slots. The number of free spins depends on your deposit. It’s a 50% free spins offer, so a €50,- deposit gives you 25 free spins and a €200,- deposit will give you the maximum of 100 free spins. What also makes this offer great is the fact that you can choose any NetEnt slot game to use for your free spins. Wether it is Starburst, Jack and the Beanstalk, or maybe Dead or Alive. The choice is yours, any NetEnt slot will do. Which is pretty unique. And when you make your first deposit you will still receive the unlimited first deposit bonus on top of the free spins. Yes, I said it right, unlimited. So if you deposit €100,- or even €5.000,-, this deposit will be matched. If you do deposit €100,- or more during your first deposit, Gday Casino will even give you a free case of beer. If you are still hesitant, all new players that sign up will receive 50 free spins on South Park – Reel Chaos, no deposit needed. So you can give Gday Casino a try first without making a deposit yet. 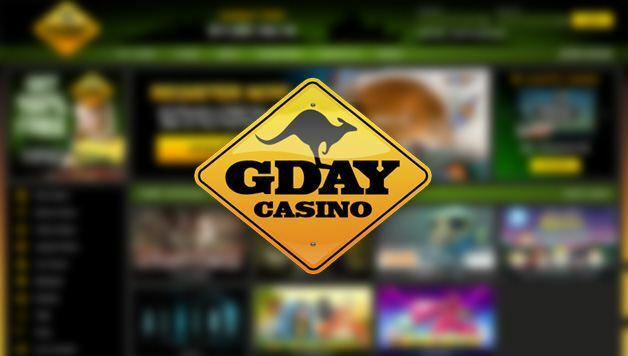 Gday Casino offers games from NetEnt, Nextgen Gaming, Quickspin, Thunderkick and other smaller providers. They also run a lot of weekly promotions for all players. Join Gday Casino now and start with your 50 no deposit free spins. Like what you see, claim your unlimited welcome bonus together with the exclusive free spins offer.